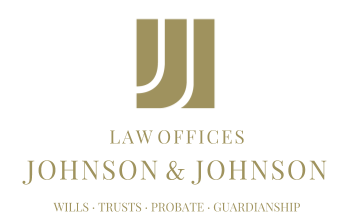 When Nevada residents decide to take steps to provide for the disposition of their property after they pass away and their care in the event of incapacitation, they will be faced with many choices. Deciding who gets which assets might seem like a daunting task, but making an estate plan user friendly for those left behind could be the more challenging task. Estate planning requires careful consideration and updating in order to achieve goals. The more specific the documents are, the less chance there is of misinterpretation by the executor, trustee or heirs. A separate writing should also include details regarding accounts, including any that are only online. Those in charge of handling an estate will need to know about every account and how to access them. Trusted individuals will also need to know where to locate original estate-planning documents when the time comes. These same people could hold copies of the documents for reference, but the originals will be needed in the event of incapacitation or death. The documents should also specify how each heir is to receive the assets. For example, minor children are not allowed to inherit property, so someone will need to watch over the inheritance until the child reaches the age of majority or another age if the individual so chooses. The disposition of assets is often seen as the primary function of estate planning. The reality is that there are other issues with which one must deal as well. When Nevada residents are ready to create their estate plans, they would benefit from involving an attorney familiar with estate planning who can help with the seemingly minor — yet vital — details that also need attention.